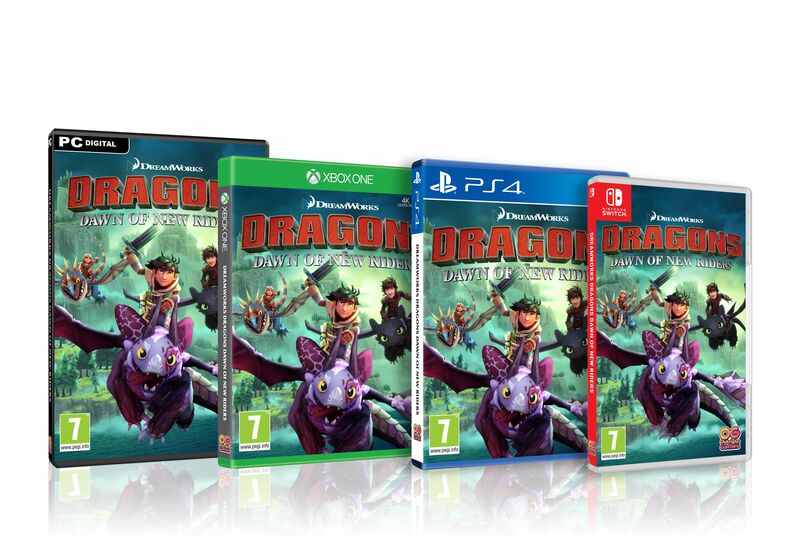 If your children are excited as mine about the How to Train Your Dragon films then naturally they will be over the moon to know they can play a game to save dragons! In the Dragons Dawn of New Riders game Hiccups dragon sanctuary has been destroyed and the dragons captured. You need to help rescue them on a journey of discovery and exploration. Dragons Dawn of the New Riders coincides with the release of The Hidden World. Dragons Dawn of New Riders is available to buy on PS4, Xbox One, Switch & PC Digital. It’s an offline game which to be honest is preferable. I always worry about strangers connecting with children with online games. It’s for children 7+ and looks like an exciting adventure for them. The aim of the game is to rescue dragons from the evil villain Eir who plans on controlling all the dragons. There are puzzles to solve and challenging battles to face! You need to help Patch discover his memories so he can unlock his true potential. As a hybrid dragon he is going to have some interesting and powerful abilities. You get to play both as the dragon Patch and Scribbler a forgetful scholar. I like the variety that offers. It’s good seeing their friendship develop as they progress through the game. It keeps the very essence of the films, that of the bond between rider and dragon. You also get to fly around lots of familiar scenes from the films and meet characters you already know. To celebrate the release of the Dragons Dawn of New Rides Game which was released yesterday, I have a code to giveaway on a format of the winners choice. If you would like to enter please fill out the form below by the 5th of March. Please also check out my other giveaways. Thanks for the chance to win this awesome game.